What’s the CEO wearing today? If you know Astor & Black CEO, David Schottenstein, you know he doesn’t stand still for long. 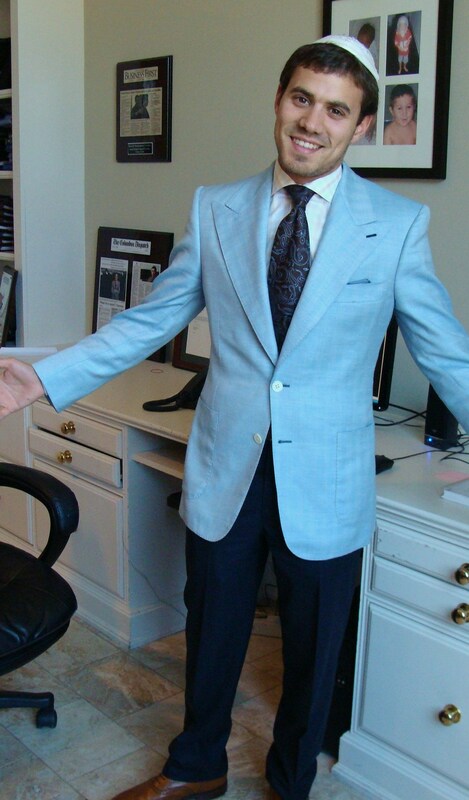 Somehow I was lucky enough to snap a pic of him at his desk wearing a fantastic light blue jacket (Marzoni fabric) with large patch pockets, mother of pearl buttons, and contrast stitching on all of the buttonholes. Looking dapper as usual D.Schott! For more information on what the CEO is wearing, please call 877.ASTOR 18 or visit www.astorandblack.com.